إذا كنت تبحث عن فندق بموقع جيد في جوام، فقد وجدت ضالتك في Tumon Bay Capital Hotel . يقع الفندق على بعد 0.5 miles من مركز المدينة، ويؤمن الوصول إلى أهم مراكز المدينة. بالنسبة لمن يريد الخروج، هذه بعض المعالم السياحية المتوفرة للزوار منطقة تارزا للمغامرات السحرية والحديقة المائية, JP Super Store, عالم تحت الماء / أندرووتر وورلد. استمتع بالخدمات الراقية والضيافة التي لا مثيل لها بهذا الفندق في جوام. يقدم الفندق واي فاي مجاني في جميع الغرف, خدمة غسيل ذاتية, مكتب الاستقبال على مدار الساعة, مرافق مخصصة لذوي الاحتياجات الخاصة, واي فاي في المناطق العامة لضمان الراحة القصوى لضيوفه. 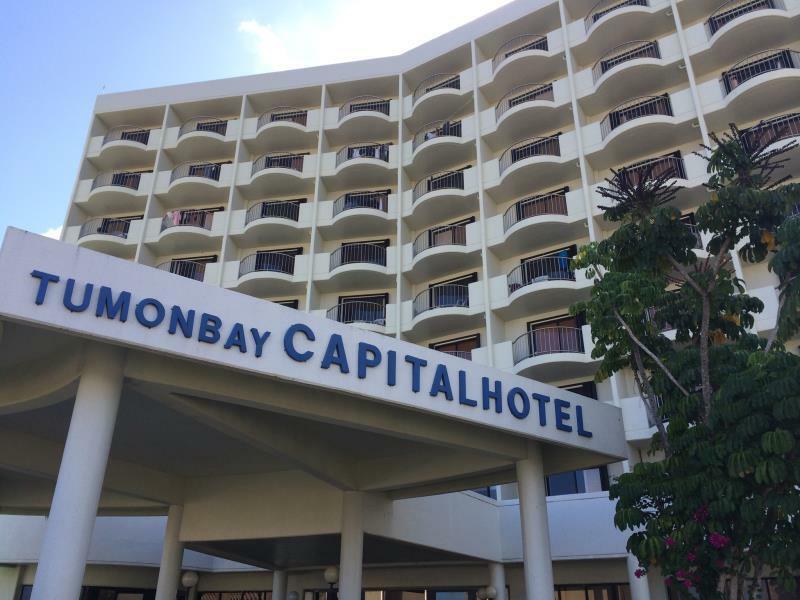 في Tumon Bay Capital Hotel غرف نوم يزيد عددها عن 62 صممت بذوق وعناية لتوفر لك كل وسائل الراحة . بعضها يحتوي أضاً على مناشف, اتصال لاسلكي بشبكة الإنترنت (مجاني), غرف لغير المدخنين, مكيف هواء, خدمة الإيقاظ. يقدم الفندق خدمات رائعة كمثل حمام سباحة خارجي لمساعدتك على الاسترخاء بعد نهار طويل من النشاط والتجوال في المدينة. اكتشف مزيجاً ساحراً من الخدمة الاحترافية والخيارات الواسعة من وسائل الراحة والمتعة في Tumon Bay Capital Hotel. We have staing there only for few hours. Our flight was at night time and we needsd some place to have a rest, take a shower, and let our baby to sleep a little bit before the flight. It was good enought for reasonable money. Because in any hotel if you are staing there after 6pm they count it as a whole day. And we were stay in Hilton before, so pay other 250$ for few hours was not reasonable. Tumonbay is old, but probably 20 years ago it was luxury place. Do not recommend you choose this hotel for long staying. 1-2 days will be ok, no more. Paid via agoda but never got to stay because did not have 150.00 cash for deposit.. cant even get my money back..
Great location. A bit of a steep walk up though. The place is affordable, but it's worth less. Restaurant isn't functional. Pool is closed. One of two elevators are not in use. Beddings, furniture and towels show wear and tear and some holes. During a small typhoon the other elevator did not work either. I called reception at 12:01pm to request for help with our luggage as the bags are too heavy for me and my child to carry down the stairs. I was told its not their problem and theres nobody to help. And if I don't check out by 12pm, I will be charged extra. I was then put on hold for a good 10mins til I decided to walk down to seek further assistance Luckily a hotel guest by the reception offered to help. He carried the bag down the stairs as me and my daughter nearly slipped on the flooded stairs due to the water accumulation as well as the gust wind. At least they ended up not charging me for the late check out due to the delay. Its not great. Just a cheap roof over your head. Dingy, old, in great need of renovation. Beds were as hard as planks of wood. Air in the room was dank and stale; fortunately, the balcony door opened and gave me fresh air all night. The valve that determines whether you take a shower or use the tub didn't work and was stuck on tub, making it impossible to take the desired shower in the morning. It is near the town, but 10 mins walking is necessary. The environment is quiet. The facilities are old. The room is dirty, but no special smell. There is any restaurants or drinking machines inside the hotel, but you can buy one can of soft drink from the staff at the counter. I think your girlfriend will leave you if you stay there with her. It is acceptable if you are a student or no income because the room price is attractive. I would call it be hostel only. The hotel is really OLD and some decorations are broken or damaged. But it’s close to Tumon Bay Beach and malls in downtown, just 5 mins within walking. The staffs look like very serious. And the cleaness worries me for a time. Parking is free. And you HAVE TO check-out by 12:00 p.m. . The check-out time is strictly executived. We booked the accom a month prior to the trip so the rates with the other hotels were extremely high. We got this for a third or a quarter of the rate of the other beachfront hotels and it's only a 5min walk from the beach. Although the location seems like on the top of a small hill, my friend and I didn't mind the walk. This is not ideal though for families with little kids or senior citizens. The location of the hotel is great for fit travellers who don't mind a bit of walking. Staff was awesome and room was quite large. Great value for money. Very good staff, uphill hotel but it's still very good since you need to walk a little to reach DFS mall. quiet place. if you need something you need to go the front desk since they don't have enough staff to deliver what you ordered like water. over all good experience. i'm always staying at this hotel as i've stayed here more than 3 times. Good location: next to DFS, JP Mall...every room has good sea views. Excet that..... non-evreyday room clean, old facilities, broken bacony doors....you should to go down to the counter and ask for kettles. even no tips showing to the guest i can contact the counter after press 0 after i go down and ask them. 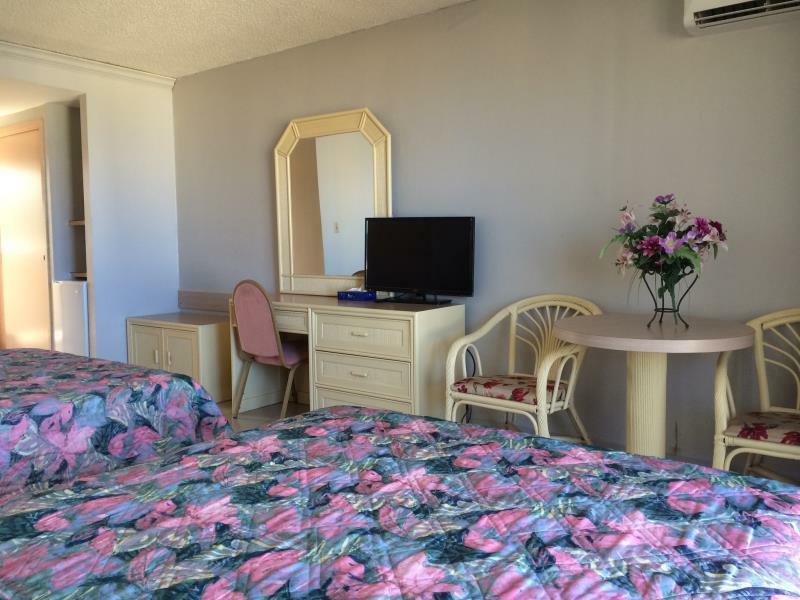 Though the facility is a little run down, you will get your money's worth staying here. I stayed for two weeks, and was pleased with my stay. The location is quiet, and the view of the bay is just magnificent. Friendly staff, and good daily services. We paid around Php 4,000/night and we dont even have a complimentary water in the room and even a shampoo. The towels had dirt stains on it too. Not worth the money we paid for. The good side, the location and the staff service is good. It worth the price. Location is great. Good value for your money. Walking distance to everything. Next to Tarza water park. The hotel is right behide the DFS, up hill, about 5 mintutes walk. The hotel is a little old, but still nice. There is no cafeteria in the hotel. The pool is nice and clean. I will not recommend this hotel. Staffs are very unprofessional. My rooms have small cockroach very unsanitary.